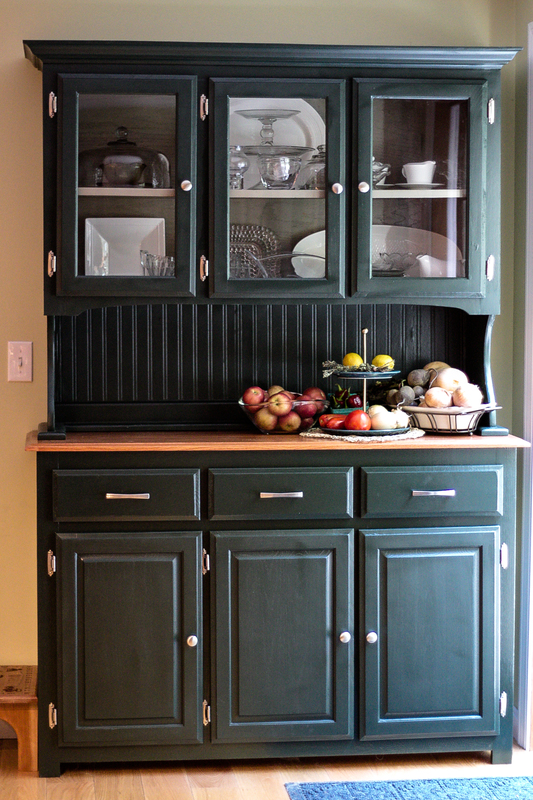 We purchased an outdated oak kitchen hutch and gave it new life with a sleek paint scheme, new cherry stained finish on the counter, removal and reshaping of the cupcake trim, added a bead board back splash and new hardware. 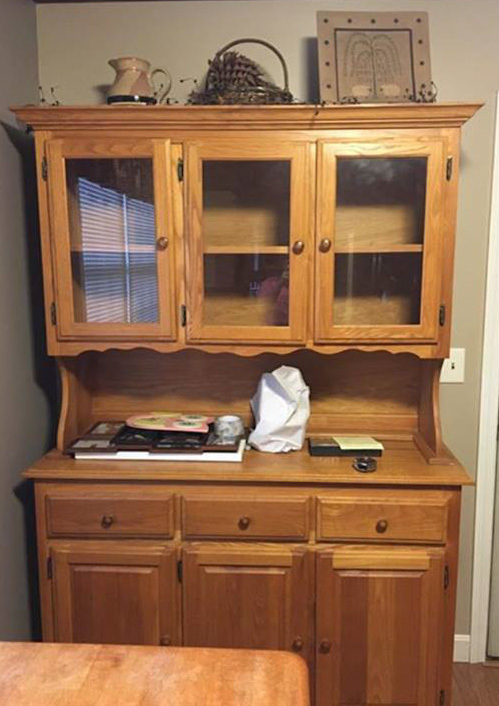 A Craigslist score! If you don’t have a starting point, let us find one for you and make it your own! We took a chipped, yellowed, painted forgotten coffee table and gave it new life lifting the mahogany face, painting inlay into the delicate carvings and painting the base a neutral grey. We inherited a 1950’s hand-painted french provincial dining set that had been deeply discolored from decades of cigarette smoke. Without using harmful chemicals on the delicate finish, we were able to restore the natural cream color and highlight the hand-painted details in original glory.